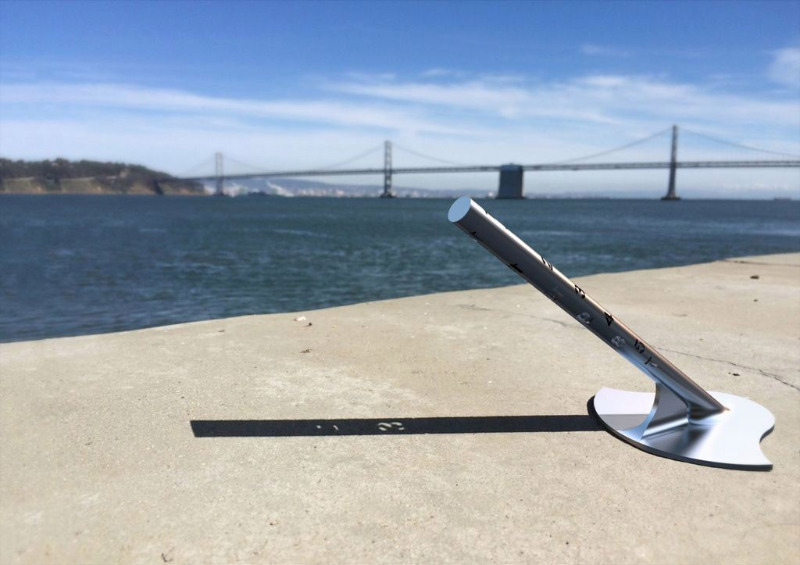 Once done with all of the math for the sundial to compute its angles and true north based on his latitude and longitude, [Sebastian] used Autodesk Inventor to create a model. From there it was 3D printed, but the interesting part here is that the 3D printer allowed for him to leave recesses for numbers in the sundial. The numbers are arranged at such angles inside the sundial so that when it’s a particular hour, the number of the hour shines through the shadow of the sundial which creates a very unique effect. This would be pretty difficult to do with any machine tools but is easily accomplished via 3D printing. One commenter suggested adding a bimetallic thermostat to adjust heading to accommodate seasons, thereby increasing accuracy. Sun is up. 3 pm. Even for California. I'm glad it's a very unique effect, as opposed to merely unique. Pyrrho wrote: Sun is up. 3 pm. Even for California. Pedantic and sundial don't well mix. Pedantic and sundial don't well mix into. If you are going to make holes in it, why stick with a cylinder shape? How about a spherical sundial? It's cute, but it's only slightly unique. Abdul Alhazred wrote: It's cute, but it's only slightly unique. Pyrrho is gonna suspend you. What a minimally unique thing to do. Looks like a mission statement! See that's just part of how our kids are dumbed down, in my day we didn't have any fancy numbers on our sundials, we knew how to read one proper without them! Since it is not an iWatch, it will get a virus. re sundial, Isn't that "special".